If you're a lover of vinegar in all its forms, colours, and flavours, this just might be the "bucket list" you're looking for: a tour of vinegar museums around the world! Altogether, I've found a total of twelve museums devoted to familiarising the general public with the world of vinegar, creating a challenging course for devotees of vinegar tourism. 2. International Vinegar Museum - U.S. Caution: I have not personally visited any of these places; information has all been researched from the Internet and is, as far as I can tell, correct as of April 2016. If you find any mistakes, please contact me (email at top of page). Location: The museum is located opposite the Mizkan factory in the city of Handa (population 117,088) on the Chita peninsula south of Nagoya (Aichi prefecture). Hours: 9:30 a.m. - 5:00 p.m., closed on Thursdays, Obon (midsummer), and New Year. Admission: 300 yen, reservations required. Guided tours half-hourly. The Mizkan Museum was established by Japan's largest vinegar producer, the Mizkan Group (ミツカン). It presents vinegar through the company's own history against the backdrop of the city of Handa. It first opened in 1986 as the Museum of Vinegar (博物館「酢の里」, literally Museum "Homeplace of Vinegar"), closing in November 2013 for redevelopment of the site. 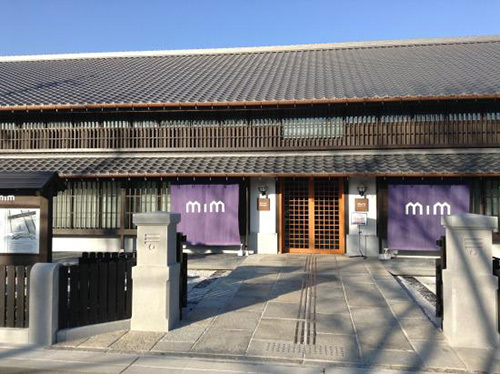 The museum reopened in November 2015 under the English-language name and abbreviation, Mizkan Museum (MIM) (ミツカンミュージアム（ミム）). Background: The Mizkan Group is a privately-held company originally founded in 1804 by a saké brewer, Matazaemon Nakano (中野又左衛門), who began producing rice vinegar after he found that it could be produced more cheaply from saké lees than from rice. By making vinegared rice more affordable the company helped ignite the explosive popularity of sushi during the Edo period (1603-1868). By the time Japan opened up to the world in the 19th century it had become a major vinegar producer. The company later expanded into mustard, salad dressings, sauces, nattō (fermented soybeans) and other condiments. Since the 1970s Mizkan has been expanding overseas, with some notable US and UK acquisitions in 2012. Mizkan now produces a range of vinegars, including seasoned, balsamic, and wine vinegars. 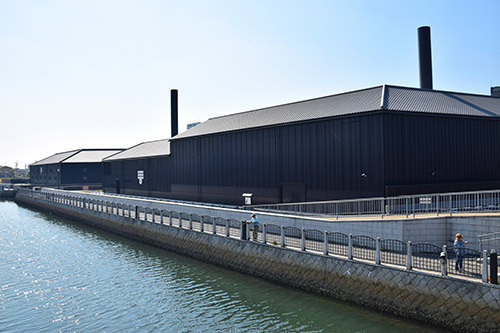 The museum: Fronting onto the Handa Canal, the Mizkan museum is Japan's only full-scale museum devoted to vinegar. Its focus is on bringing together information on vinegar making and the history of vinegar manufacture from the Edo period to the present. Zone 1: Storehouse of the Earth (大地の蔵). From Edo-period vinegar making to modern fermenting technology. Zone 2: Corridor of the Wind (風の回廊). Presents changes in the scenes and people of Handa through sound and photography against the backdrop of the unchanging Handa Canal. Zone 3: Storehouse of Time (時の蔵). 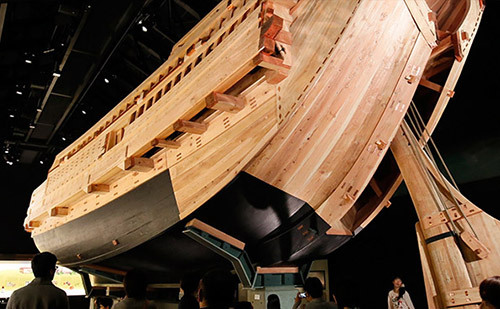 A history of the changes and challenges facing Mizkan through its history; features a 20-metre reconstruction of a bezai ship, allowing the visitor to experience the transportation of vinegar by sea from Handa to Edo (Tokyo). Zone 4: The Theatre of Water (水のシアター). 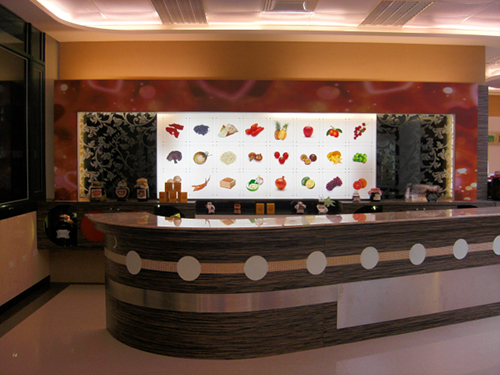 Allows the visitor to experience the culture of food through the four seasons. Zone 5: The Garden of Light (光の庭). A large airy space where the visitor can enjoy sushi and hotpot. Location: Roslyn (population 183), South Dakota. Hours: Open from Memorial Day to Labor Day (last Monday in May - first Monday in September), Thurs. - Sat., 10:00 a.m. - 6:00 p.m. 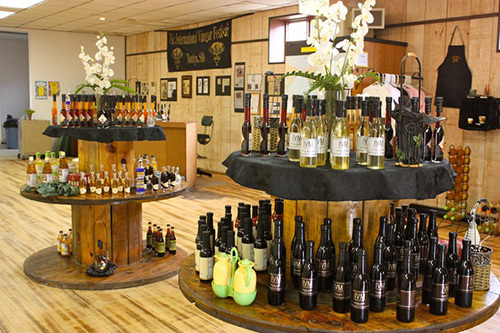 Unlike most other museums, which are connected to particular companies or industry bodies, the International Vinegar Museum is the embodiment of one man's passion and the community that gave it expression. Background: Lawrence Diggs was living in San Francisco when he first tasted balsamic vinegar. This was the beginning of a fascination with vinegar, how it was made, and its deeper sociological, historical and economic aspects. Digg's quest took him around the world and resulted in a newsletter about the enjoyment of vinegar, Vinegar Connoisseurs International, and a book about its manufacture and appreciation. 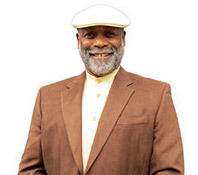 Diggs moved to Roslyn in 1989, where his idea of creating a museum of vinegar coincided with the mission of a local non-profit group called CARE (Community Advancement of Roslyn and Eden) to promote the area and encourage local business. 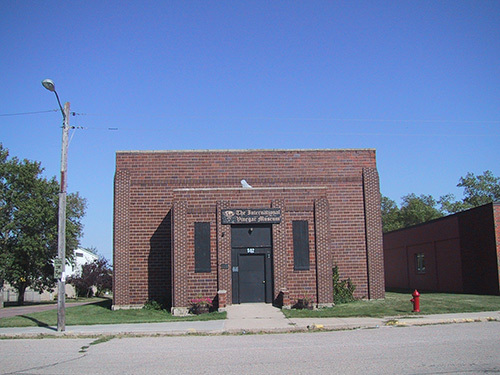 With their help and support, Diggs opened the museum in the city's historic auditorium in 1999 and ran it until 2008, when operation was turned over to CARE. Diggs continues to travel, publish, and teach others about vinegar. The museum: The museum is housed in the Roslyn Auditorium, a historic brick building in the town's main street built in the 1930s. It offers the opportunity to see hundreds of vinegars from all over the world, learn how it is made, see paper and ceramic made from vinegar, and taste different vinegars. There is a gift shop selling vinegar, vinegar apparel and vinegar artwork. The museum hosts an annual Vinegar Festival, generally held in June, featuring a parade, a vinegar queen, cooking demonstrations, stage entertainment, vinegar tastings, museum tours, and many other activities. The museum is open only over the summer. Wenyuanlou, Qingxu -- Vinegar Culture Museum is on 7th floor. Location: The museum is located in Qingxu county (population 300,000) in the outer suburbs of Taiyuan, Shanxi province. 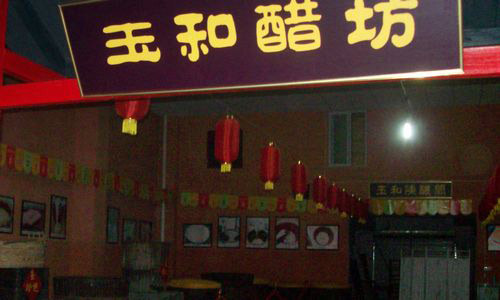 Note: The exact location and identity of the Shanxi Vinegar Culture Museum is difficult to ascertain. 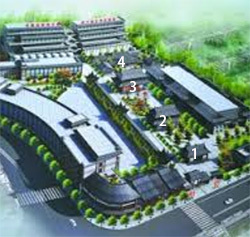 In 2006, Shanxi Shuita Superior Mature Vinegar Co. Ltd, supposed operator of the museum, rebuilt its ancient factory at Yangfang-cun 杨房村. 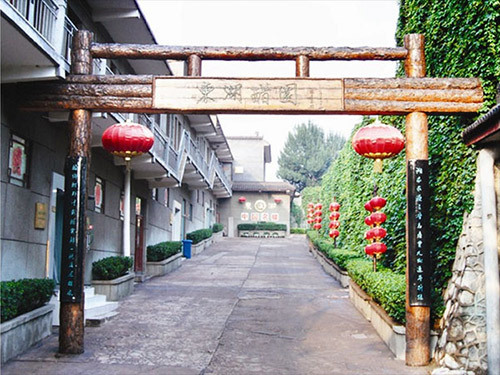 The factory is known as 宝源老醋坊 Baoyuan Old Vinegar Factory and contains exhibits of agricultural tools and old books. It is entirely possible that existing information about the museum on the Internet is 'zombie' information and that the museum actually moved here in 2006. Until definitive information can be obtained, this entry will be kept as is. 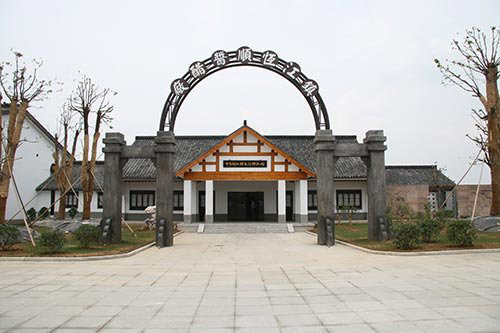 The Shanxi Vinegar Culture Museum was established by Shanxi Shuita Superior Mature Vinegar Co. Ltd (山西水塔老陈醋股份有限公司), one of Shanxi's largest vinegar manufacturers. It is also known as China Vinegar Culture Museum (中国醋文化博物馆), as seen in the signboard above, possibly because it was originally the only such museum. Background: The black vinegar produced in Shanxi, known as 'mature vinegar' (老陈醋), is one of the four famous vinegars of China and the only one hailing from northern China. The principal ingredient is sorghum, supplemented with peas, barley, bran and chaff. Qingxu county, an outlying suburb of Taiyuan city, has long been a centre for vinegar production and prides itself on being the 'vinegar capital' (醋都) of China. The industry was nationalised and centralised in the 1950s, but the 1980s saw a proliferation of small manufacturers. The museum: The Shanxi Vinegar Culture Museum is located on the 7th floor of the Wenyuan Building (文源楼), a 9-storey building in traditional style built on the site of the old Shuigelou (水阁楼), situated on the shores of Donghu (东湖) or East Lake. The top two storeys of the new building preserve the style of the old Shuigelou. A huge public square known as Vinegar Capital Square (醋都广场) has been built beside Wenyuan building. The first displays a large variety of historical tools used in the production of vinegar and folk receptacles for holding vinegar. The second section displays 3000 volumes related to the culture of vinegar, many dating to before the Qing dynasty (that is, pre-1644). These old-style books contain information relating to therapeutic, health, and seasoning effects of vinegar, as well as accounts of vinegar-making in public, commercial, and private establishments. The third section presents a pictorial history of vinegar in China and traditional sayings related to vinegar. A vinegar culture festival (清徐醋文化节) is held in Qingxu every year, although the timing does not appear to be fixed. Location: The museum is located in the eastern part of Taiyuan city (population 4,201,591), Shanxi province. The Donghu Vinegar Garden (东湖醋园), located in Taiyuan, Shanxi province, was established by Shanxi Mature Vinegar Group (山西老陈醋集团有限公司). 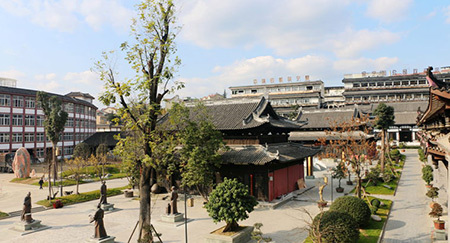 As a museum of cultural history and an industrial tourism attraction, it is registered with the tourism authorities as a 'national tourism brand' (国家旅游商标). 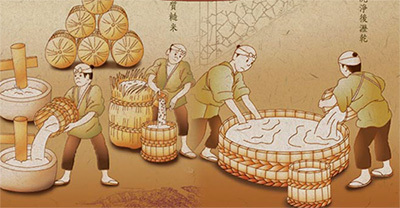 Background: While vinegar making in China stretches back to the Zhou dynasty (1046-256 BCE), it was at the beginning of the Ming dynasty (1368–1644) that a vinegar works in Qingxu country known as Meiheju (美和居) was instrumental in developing the characteristic rich, dark vinegars for which Shanxi province is now famous. These 'mature vinegars' (老陈醋) are regarded as one of the four famous vinegars of China. The principal ingredient is sorghum, supplemented with peas, barley, bran and chaff. During the Qing Dynasty (1644-1911), Meiheju vinegar was supplied to the nobility and the Imperial court. In the 1950s, the company was nationalised and merged with other firms into a single entity called Shanxi Mature Vinegar Factory (山西老陈醋厂), which created the new 'Donghu' brand, after Lake Donghu in Qingxu. The current Shanxi Mature Vinegar Group Co., Ltd. was spun off as a private company in 1996 and counts among its brands Donghu and Meiheju (marketed as the premium 'Miogee' brand in English). Both are recognised as 'China Time-honoured Brands' (中国老字号). The museum: Within the Donghu Vinegar Garden visitors have the opportunity to view both museum-style exhibits and production facilities. 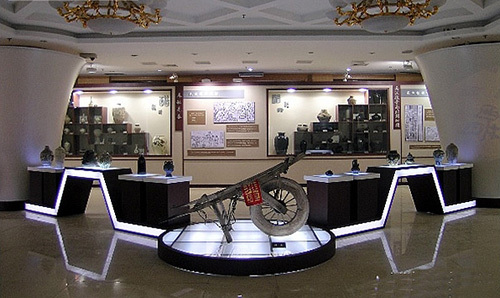 Museums (美和居东湖历史博物馆, 晋醋博物馆) exhibit a wide range of vinegar-related instruments, farming implements, and other items dating as far back as the Western Han dynasty (202 BCE－8 AD). 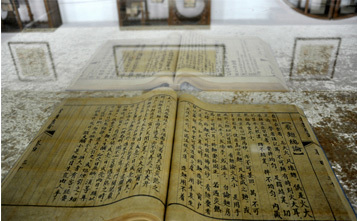 There is also an exhibit showing over 700 ancient medical prescriptions using vinegar (醋疗园). The Meiheju (Miogee) vinegar works (美和居精酿车间) demonstrate the processes involved in making vinegar. 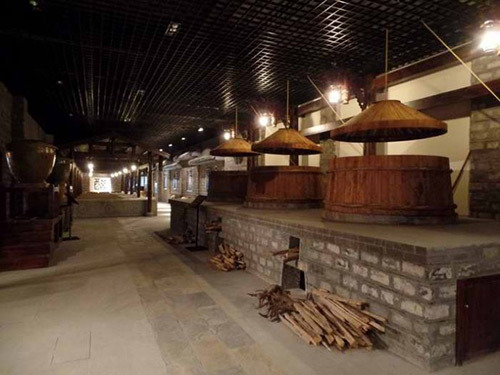 Visitors can experience the production process, taste the vinegar, and view jars in the vinegar storage area (醋窑). There is also a shop selling the company's vinegar, including editions specially developed for the museum. Date of opening: probably 2002, when Hengshun Vinegar-Industry moved to its current site. Location: The museum is located in Dantu District in the southern suburbs of Zhenjiang (population 695,663), a city on the south side of the Yangtze River in Jiangsu province. The museum is adjacent to the Hengshun Industrial Park. 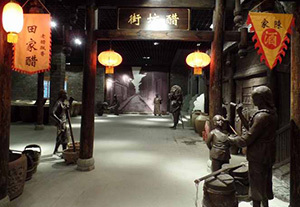 The Zhenjiang Vinegar Culture Museum was built by China's largest vinegar manufacturing group, Jiangsu Hengshun Group (江苏恒顺集团有限公司). Background: The black vinegar produced in Zhenjiang, covered by the regional trademark 'Zhenjiang fragrant vinegar' (镇江香醋) and known in English as Chinkiang vinegar, is classed as one of the four famous vinegars of China. Based on glutinous or sticky rice, the complex production process involves over forty procedures and takes fifty to sixty days, followed by a period of maturing. In 2008, Hengshun's vinegar-making technology gained government recognition as an 'intangible asset' of China. Hengshun Vinegar-Industry Co. Ltd. (江苏恒顺醋业股份有限公司) was originally established in 1840 as 'Hengshun Sauce Works' (恒顺酱坊) and is the oldest vinegar manufacturer in Zhenjiang. In the 1950s it was nationalised and absorbed many of the smaller vinegar manufacturers and workshops of Zhenjiang. In 2002 the company and factory moved to their current suburban site. The museum: The museum is built in the architectural style of the area south of the Yangtze River. It uses modern means (sound, light, electronics) to display and explain the culture of vinegar and allows visitors to experience its taste. The entrance to the museum is framed by the old gate of the Hengshun sauce and vinegar factory. The Vinegar History Hall (醋史馆) shows the history of vinegar. 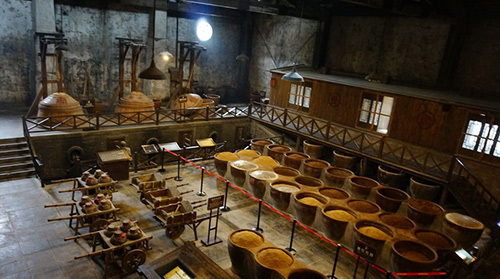 The Old Workshop (老作坊) displays the traditional process of brewing vinegar up till the early 20th century, including huge vinegar steamers with mechanically operated lids. The Gallery (陈列厅) shows several hundred vinegar products from Hengshun, Shanxi, and Shandong, as well as overseas countries. The Experience Hall (体验厅) makes fruit and fragrant vinegar available for tasting and explains the use of vinegar for flavouring and medicinal purposes. Visitors can make their own labels for placing on vinegar bottles to take home. Location: The museum is located in Spilamberto (population 12,575), a municipality in the Province of Modena in Emilia-Romagna. 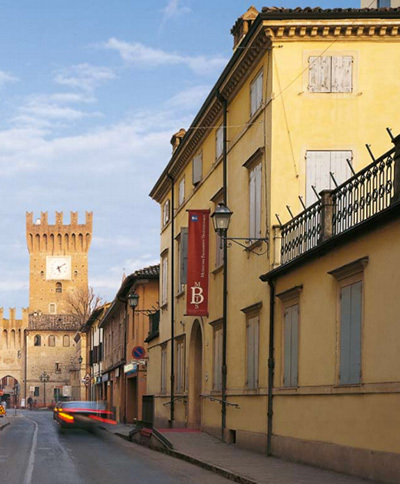 The town is about 25 kilometres west of Bologna and 10 kilometres southeast of Modena. Hours: 10:30 a.m. - 5:30 p.m. Tue. - Sun. (except Wed. 10:30 a.m. - 1:30 p.m.) Closed on Mon. Closed 25-26 Dec, 1 Jan.
For tastings, advance bookings are required. Admission: €2.00 (with tastings €4.00 - available Sunday mornings 9:00 - 12:00 a.m.). Over 65: €1.00 (with tastings €2.00). Children under 18 free. Free for seniors over 65 and school parties with prior booking. The Traditional Balsamic Vinegar Museum is devoted to promoting traditional balsamic vinegar (Aceto Balsamico Tradizionale) of Modena and Reggio Emilia, which is a DOP (denominazione di origine protetta) product. Traditional balsamic vinegar is a premium vinegar that is completely different from cheap, commercial-grade 'balsamic vinegar of Modena' that is produced in the area and sold on an industrial scale. Background: Vinegar 'in the Modena fashion' was highly prized throughout the Middle Ages and was mentioned in a document from 1046, although the adjective 'balsamic' was only used in 1747 and the first clear explanation of what constitutes balsamic vinegar appeared as late as 1862. Traditional balsamic vinegar is produced from Trebbiano and Lambrusco grapes pressed and cooked over a low heat and stored in barrels. The resulting must is aged for a 12-100 years or more in a series of casks of different sizes made from different woods. Once a year, each cask is topped up with liquid from the next youngest cask. Traditional balsamic vinegar can cost upwards of $150 – $400 for a 100ml bottle. Traditional balsamic vinegar is protected under Italian rules of DOP, similar to French AOC rules. The Coterie of Traditional Balsamic Vinegar (Consorteria dell'Aceto Balsamico Tradizionale) within the same building is a non-profit cultural organisation devoted to maintaining an appreciation of traditional balsamic vinegar. 1. 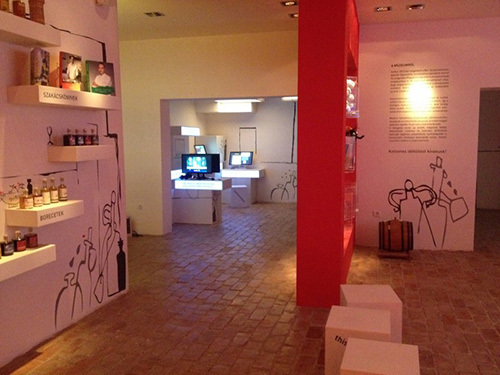 The Projection Room (Sala proiezione) shows a short film on the process of production of Traditional Balsamic Vinegar. 2. The 'Barrel' (La botte): Evoking the inside of a barrel, brings together the tools and processes used, from picking the grapes to casking. 3. Hall of Objects and Historical Documents (Sala degli oggetti e dei documenti storici): Historical finds and scientific publications reconstruct the path of balsamic vinegar as far back as 1600. 4. Room of Tasting Techniques and Instruments (Sala degli strumenti e delle tecniche di assaggio): The rites of tasting and scientific instruments to monitor the vinegar. 5. The Coterie of Traditional Balsamic Vinegar (La Consorteria dell'Aceto Balsamico tradizionale): The history of the Coterie of Traditional Balsamic Vinegar, a non-profit cultural organisation operating in Spilamberto since 1967. 6. 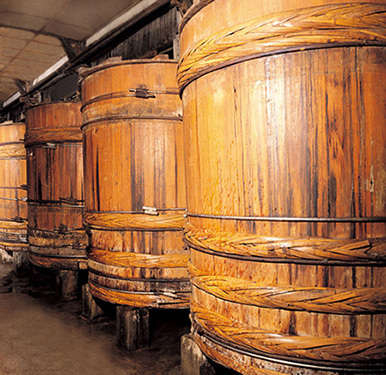 The Social Acetaia of the Coterie (L'Acetaia sociale): Barrels are kept for ageing in the acetaia, traditionally located in the attic. It contains twelve sets of barrels, including an ancient set belonging to the Fabriani family. 7. The Bookstore: Sells books, DVDs, and balsamic vinegar. Location: The museum is located in Chiayi county (population 524,783) in southern Taiwan. 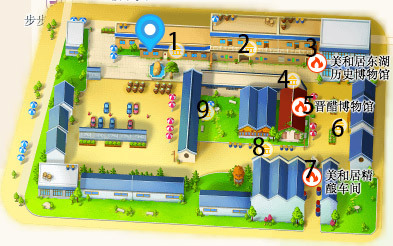 The museum lies within the Kokumori factory. Hours: 8:00 a.m. - 5:00 p.m. Closed Sundays and holidays. Admission: Free. Museum accepts only groups. 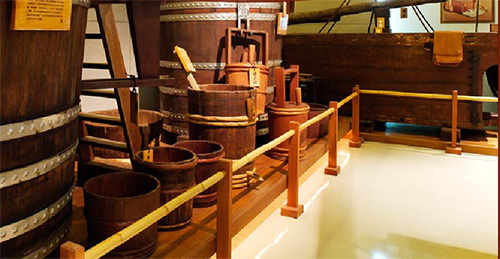 The Kokumori Vinegar Town Museum (穀盛酢鄉文物館) is Taiwan's first factory-based tourism museum for vinegar, established by Kokumori Foods Corporation (穀盛股份有限公司). 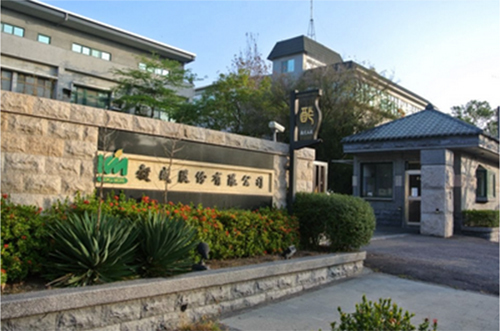 Background: Kokumori Foods was established in 1996 by a technological research and development team (including a former Kong Yen chairman) with the aim of producing health foods, miso, Japanese seasonings and red yeast rice products. 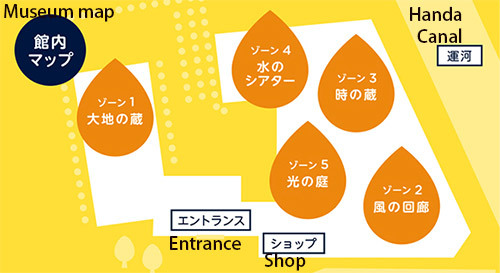 The company's products include vinegar, salad dressing, benizake sauce, sauce, salad, curry, and miso. The company is clearly influenced by Japanese models, including the range of products, technology, and even the company name Kokumori (穀盛), which is read in Chinese as Gǔshèng. The establishment of the museum was made possible by the discovery in Japan of a trove of historical artifacts for making wine and vinegar, which was purchased for the museum. 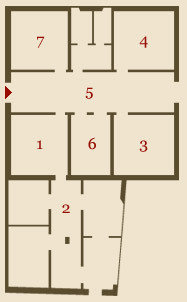 The museum: The museum is divided into four zones. Story of Kokumori (穀盛小傳): The story of the founding of the company. Traditional heritage area (傳統文物區): Historical and cultural artifacts, including a 19th century brewing press, a huge food steamer, and 60-year-old vinegar, with explanations posted on the walls. Vinegar town cultural area (酢鄉文化區): Walls show information about the culture and history of vinegar, including the difference between clear and dark vinegars, fermentation methods, traditional vs modern fermentation methods, world-wide vinegar traditions, vinegar-related food products, etc. Multimedia room (多媒體簡報區): Video presentations and live teaching demonstrations. Visitors can create a DIY fruit vinegar (DIY水果酢) and other items. Location: The museum is located in Baoning, an ancient town in Langzhong City (population 787,809) in the northeast of Sichuan province. The museum lies within the company grounds. 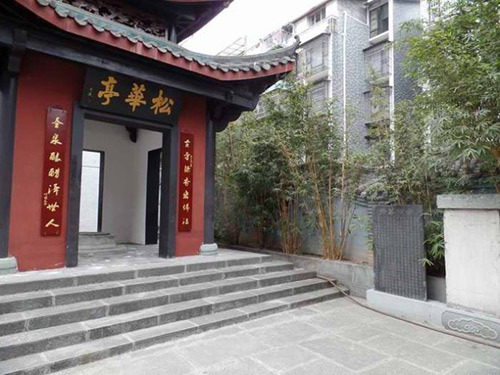 The Langzhong Baoning Vinegar Museum (阆中保宁醋博物馆) was established by the Sichuan Baoning Vinegar Co. Ltd. (四川保宁醋有限公司) in a historic Temple of Guanyin (观音寺) within the company grounds. Since opening in 2004 the museum has been closed on several occasions, including a major expansion in 2012. Baoning (保宁), once known in English as Paoning-fu, is a well-preserved ancient Chinese town at the heart of modern Langzhong City (阆中). 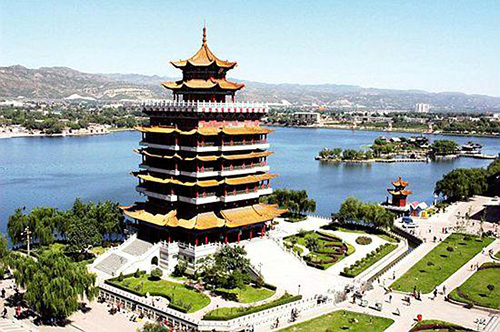 It is comparable to Lijiang and Pingyao, although somewhat less well known. Background: Vinegar has been produced in Baoning for 2700 years. The current style dates back to 936, and is now one of the four famous vinegars of China. It is brewed on wheat bran and, unlike the other major vinegars, has medicinal properties imparted by the addition of 60 kinds of herbs. Sichuan Baoning Vinegar Co. Ltd. was founded in 1954 and is currently the only producer of Baoning vinegar. 3. Guanyin Temple 3rd hall 4. Old Workshop etc. The museum: The museum is set up within a protected cultural relic, the Temple of Guanyin. The temple consists of three halls, having lost its temple gate. The first hall contains Buddhist statues. Between the first and second halls are statues of the creators of the great vinegars of China. The second hall contains a statue of Guanyin, surrounded on four sides by materials introducing the history of vinegar culture in China. 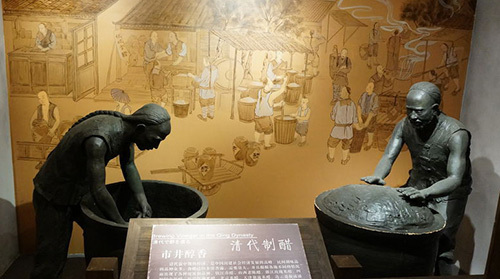 The third hall contains the Baoning Vinegar Development Hall (保宁醋发展馆), which presents the history of Baoning vinegar through a large collection of objects, some dating back to the Song dynasty (960-1279), statues, text, pictures, and audiovisual means. Behind the third hall is a converted Tang-era (618–907) building containing the Old Workshop of Baoning Vinegar (保宁醋老作坊). This building presents the old world of vinegar in its many manifestations through scenes and statues. A separate pavilion contains the Songhua well (松花井), the original well that supplied water to produce Baoning vinegar. Hours: Mon - Fri, odd-week Saturdays: 9:30 a.m. - 4:00 p.m.
Group tours of 15-80 people. Smaller groups will be combined with other groups. Admission: NT$100; students and seniors over 65, half price; children under 7 free. To visit both factories, Ta An (大安廠) and Ta Chun (大醇廠), admission is NT$200. For miso DIY add NT$100. The Kong Yen Culture Hall (工研益壽多文化館) is located on the second floor of the Ta An Kong Yen Foods Factory in the Tamsui District of New Taipei City. The Chinese name contains the word Yishouduo (益壽多), which means 'more longevity' and is a Kong Yen brand name. Background: Ta An Kong Yen Foods (大安工研食品公司) is Taiwan's largest vinegar manufacturer, established in 1946. 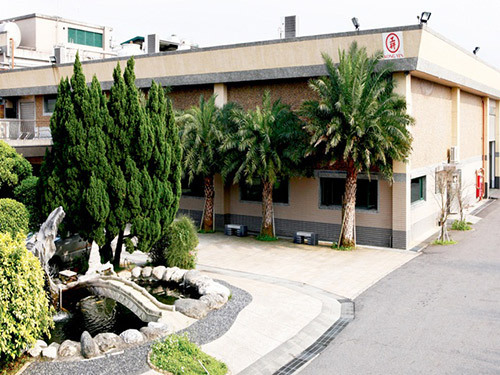 The first of its two Tamsui factories was built in 1981. The company initially produced white vinegar, including apple vinegar, and later began producing black vinegar. 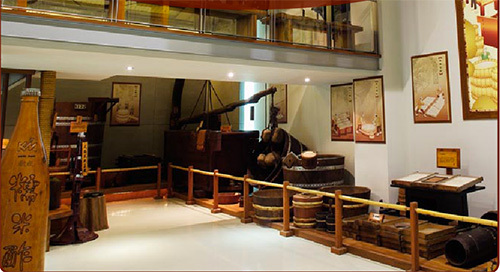 The museum: The Kong Yen Culture Hall is integral to organised factory tours. It was established in 2009 and gained certification as a 'factory inspection tour' in 2010. It features exhibits on over fifty years of company history, vinegar, and cultural relics. A1: Hand washing in vinegar (酢洗手). A2: Interactive information zone (資訊互動區): Introduction to the past and present of Ta An Kong Yen through audiovisual methods. A3: Historical articles zone (歷史文物區): Vinegar vessels, equipment, advertising, and other Kong Yen materials from the 1950s and 1960s. A4: Audiovisual zone (視聽影音區): Old Kong Yen advertising, company information and an introduction to the museum on large-screen TV. A5: Dining culture zone (食桌文化區): Introduces the many uses of vinegar. A6: Vinegar appreciation zone (品酢文化區): What makes a good vinegar and how new products are developed. A7: DIY bar zone (DIY吧台區): The many products containing carbohydrates that can be made into vinegar. A8: Kong Yen food culture dining hall (食文化餐廳). A9: Outdoor arts plaza (戶外藝文廣場). Outdoor tables and seating. Opened in 2010 but later demolished for the redevelopment of Pozi-jie. New museum currently under construction. Location: The museum was located in Changsha (population 2,123,000), the capital of Hunan province. The Changsha Yuhe Vinegar Culture Museum (长沙玉和醋文化博物馆) was established by Changsha Yuhe Fermentation Company (长沙玉和酿造有限公司). Background: In 1649, master of fermentation Dong Yuhe (董玉和) came from Jiangsu to Changsha and established the 'Yuhe Sauce Park' (玉和酱园) in Pozi-jie (坡子街). The business became a household name in Changsha for over 300 years. Yuhe was merged with six other condiment manufacturers in 1956 but was revived as Changsha Yuhe Vinegar Factory (长沙玉和醋厂) in 1983. 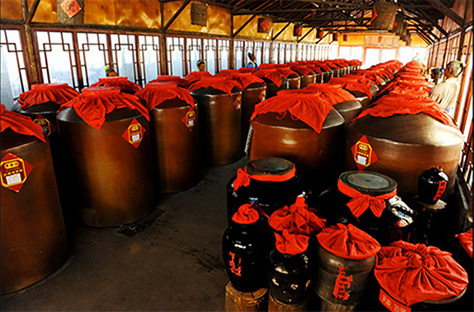 Changsha Yuhe Fermentation Company was established in 2002, and in 2006 Yuhe vinegar was declared a 'China Time-honoured Brand' (中国老字号). The museum: In 2008, the company built Changsha Yuhe Vinegar Culture Museum (长沙玉和醋文化博物馆) on its former site at Pozi-jie, which opened in 2010. The museum was demolished in 2012 to make way for the redevelopment of Pozi-jie and the company is now in the process of building a new one. Location: The museum is located in the basement of vinegar producer Tokaji Borecet Manufaktúra in the village of Bodrogkeresztúr (population 1,276), Tokaj Wine Region, Hungary. 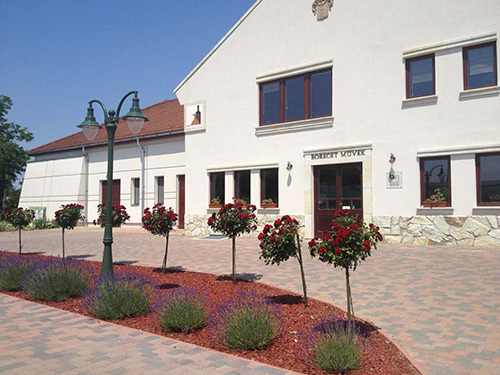 Background: Established in 2010, Tokaji Borecet is the first and only vinegar maker in Hungary to base its products primarily on quality Tokaji (Tokay) wines. The company is focused on changing the image of vinegar from that of cheap synthetic vinegars to one of healthy fermented products and acquainting people with the culture of vinegar. The museum: The museum is a state-of-the-art interactive showroom with a range of audio-visual displays to help visitors learn about the history, production, different types, and different uses of wine vinegar. The feel of the museum is bright, colourful, and modern. The museum is adding new features and working to make the experience accessible in languages other than Hungarian. Location: The museum is located in the development zone of Laohekou, a county-level city (population 490,000) in the far north of Hubei province, central China. It lies within the company grounds. 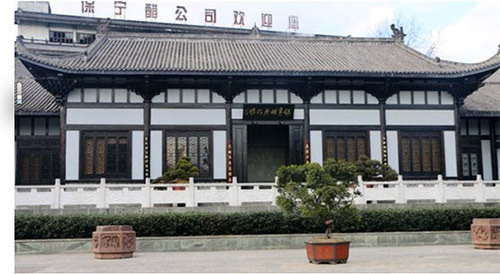 The Laohekou Sauce and Vinegar Culture Museum (湖北老河口酱醋文化博物馆) was established in Laohekou, a town traditionally famous for its vinegar, by Hubei Yuhao Biotechnology Co. Ltd. (湖北御豪生物科技有限公司). Compared with the old-name companies that usually open vinegar museums, Yuhao Biotechnology is a very new joint venture. Very little information is available on the museum, including contact details and address. Background: Aside from the so-called 'four famous vinegars of China', most provinces have localities famous for their vinegar. In Hubei that is Laohekou (老河口) in the north of the province, which has been famous for its shuangtou vinegar (双头口醋) for over a thousand years. According to history, this vinegar helped cure bloating and severe lack of appetite in China's only woman emperor, Wu Zetian (武则天, 624-705). The raw material appears to be brown rice and sorghum. 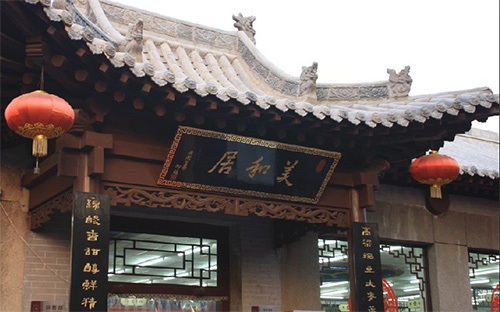 While Laohekou is traditionally known for its vinegar production, the owner of the museum, Hubei Yuhao Biotechnology Co. Ltd., is the product of a joint venture with a very new outsider -- Dongguan City Yuhao Foods Co. Ltd. (东莞市御豪食品有限公司), which was established in Dongguan in the Pearl River Delta in 2006. The joint venture was only set up in Laohekou development zone in 2012. The company's products include a shuangtou vinegar made according to traditional methods. The museum is located at the company plant/office. Besides the museums above, the following have or may have content related to vinegar. Acetaia Boni at Modena hosts a permanent exhibition of tools relating to farming life and traditional balsamic vinegar from the 16th century through the 19th century. Hours: Daily 8:30 a.m. - 7:30 p.m. 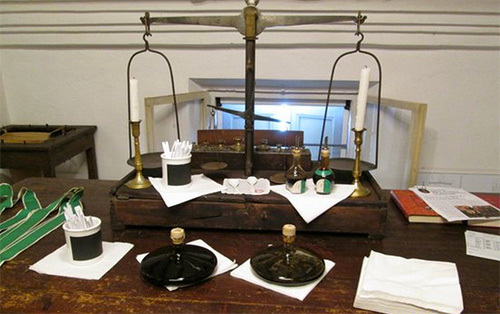 The Doesburg Mustard and Vinegar Museum (Doesburgsche Mosterd- en Azijnfabriek) is located in the old Hanseatic town of Doesburg (population 11,447) in the Netherlands. The factory was founded in 1457 and still produces mustard and vinegar under traditional methods. The original factory was converted into a museum and site of artisanal production in 1974. While it does produce vinegar, it is overwhelmingly known for its mustard; virtually no information is available about the vinegar side of the museum. 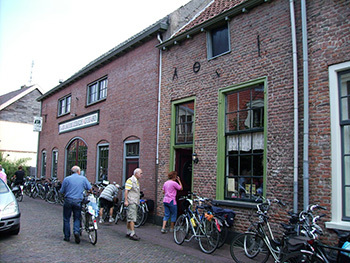 Various vinegars can be bought at the Azijnmakerij ('vinegar factory'). Hours: Tues. - Fri. 10:00 a.m. - 5:00 p.m., Sat. 11:00 a.m. - 4:00 p.m. Closed on Sunday and Monday. Closed first and last week of the year. Admission: €2.50 (children aged 4-12 €1.50, children under 4 free). Bodegas Barbadillo is an important Spanish producer of Sherry Vinegar (Vinagre de Jerez) in Sanlúcar de Barrameda, Cádiz. The bodega runs a Museo de la Manzanilla at its premises, but it is unclear whether it has any significant displays related to sherry vinegar. Given the prestige traditionally accorded to sherry and the treatment of sherry vinegar as "failed product" within living memory, it appears unlikely that vinegar plays much part in the museum or tasting. Hours: Tue-Sat, 10:00 a.m. - 3:00 p.m., Sunday 11:00 a.m. - 2:00 p.m. Guided tours of the bodegas and museum (1 hour, includes tasting of four wines): Tue-Sat., 11:00 a.m. English, 12:00 p.m., 1:00 p.m. Spanish. VIP tours (1 hour, includes tasting of four wines and aperitifs): Admission: €12, minimum of 10 persons. The world's vinegar museums form an odd but interesting collection. Housed in a variety of structures, from European villas to reconstructed traditional buildings, old temples, purpose-built premises, factories (including basements), old public buildings, and entire complexes, they range from the modest to the grand. While most were established by commercial vinegar producers, one was created by a group culturally invested in upholding the prestige of a protected regional product, and another by a small town revitalisation group working with a vinegar aficionado. Vinegar museums are found in only six countries, with one each in Japan, the United States, Italy, and Hungary, two in Taiwan -- and six in China (one being rebuilt). The proliferation of vinegar museums in China is remarkable. More are coming, including a possible museum for China's fourth major style of vinegar, Yongchun Aged Vinegar (永春老醋) of Quanzhou, Fujian. A visit to the world's vinegar museums involves venturing deep into unfamiliar territory. The Japanese museum is away from the Kyoto-Tokyo tourist path; the American museum is in a small town in the West, open only during the summer; the Italian museum is in a small town outside the provincial centre; the Hungarian museum is in a local village; one Taiwanese museum is in the suburbs of the capital and the other is in the outsksirts of a southern city; the Chinese museums are mostly found in small towns or cities well away from areas usually frequented by foreign tourists. Locations range from cities to small towns and country locations; from idyllic spots to industrial zones. 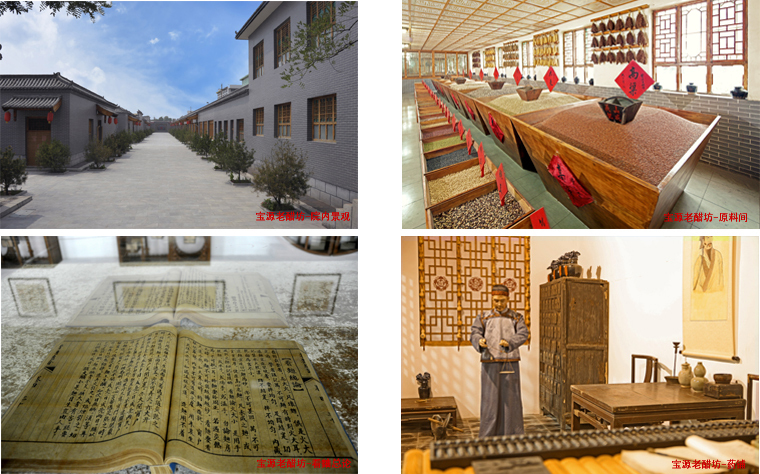 (Locations can be seen here: Mizkan Museum, International Vinegar Museum, Shanxi Vinegar Culture Museum, Donghu Vinegar Garden, Zhenjiang Vinegar Culture Museum, Traditional Balsamic Vinegar Museum of Spilamberto, Kokumori Vinegar Town Museum, Langzhong Baoning Vinegar Museum, Kong Yen Culture Hall, Acetania Vinegar Museum, Hubei Laohekou Sauce and Vinegar Museum). Almost all museums are united by attention to the historical aspects of vinegar, but with widely differing time depths. In China, whose experience with vinegar stretches back almost 3,000 years, museums emphasise the historical side of production and consumption. All Chinese museums are company-backed and feature historical artifacts or documents dating back centuries. Even new manufacturers with no history to speak of manage to mount displays of traditional objects. The Japanese time frame is far shorter than the Chinese, involving a history dating back only to the 19th century. The Japanese museum focuses on the company's story and its roots in the Edo period, when sushi, using vinegared rice, exploded in popularity in Japan. The Italian museum, while noting that historical evidence for balsamic vinegar is relatively new (18th century), emphasises the exclusiveness and prestige of the local vinegar and its deep local and traditional roots. The Taiwanese museums were both established by modern manufacturers with short histories. Both companies started off making rice vinegar or apple vinegar with technology from Japan. One museum focuses on the post-war history of the brand; the other (Kokumori) is based on a trove of Japanese historical objects. The American and Hungarian museums also deal with the history of vinegar in general, stretching back to Roman and Egyptian times. Another focus is on the cultural value of vinegar. No mere commodity, vinegar is deeply embedded in its cultural and social milieu. This is no better illustrated than in Chinese museums' loving recreation of the traditional world of vinegar, right down to the reproduction of old shopping streets and vinegar shops. The Italian museum for traditional balsamic vinegars similarly locates vinegar in the context of local culture, where countless local households maintained a tradition of small attic acetaia requiring dedication, care, and a pursuit of quality. Both Chinese and Italian museums use old written documents to demonstrate the value of vinegar within the cultural tradition. In Japan, the Mizkan museum gives value to vinegar as part of the organic continuity of the local community of Handa and, in typical Japanese fashion, within the natural context of the change of the seasons. Taiwan's Kong Yen museum takes a nostalgic look at lived experience in the latter half of the 20th century, as seen through the perspective of its products. The International Vinegar Museum of South Dakota features not only vinegar's familiar culinary and therapeutic values; its versatility extends to the making of paper and ceramic, with examples shown on display. The most intense focus is on the production processes. 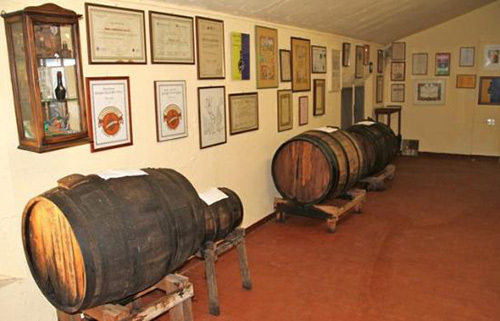 The raison d'être of the Italian Museum of Traditional Balsamic Vinegar in Spilamberto is to distinguish traditional balsamic vinegar from modern industrial imitations. Mizkan Museum shows techniques of vinegar making from the Edo period to modern times. 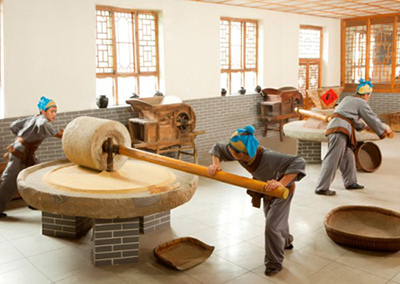 The greatest attention to traditional production processes is found in China, where ancient technologies of vinegar production are regarded as part of the national patrimony. 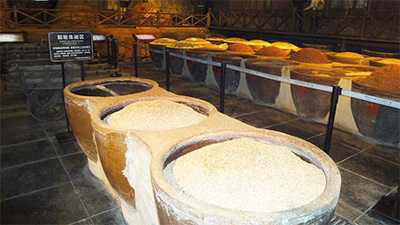 Museums introduce local vinegar production technologies: two museums for the northern 'mature vinegar' style (sorghum-based); one each for 'Chinkiang vinegar' (sticky rice-based) and its Hunanese offshoot (currently being rebuilt); one for Baoning vinegar (bran-based, with medicinal herbs); and one museum established by a new joint venture that produces a local specialty, Laohekou shuangtoukou vinegar. Displays at the Hungarian museum and the Kokumori museum educate visitors in the difference between fermented vinegar and synthetic vinegar. 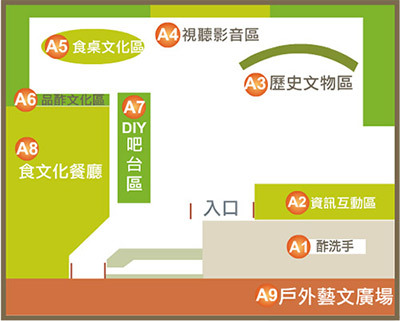 The Taiwanese museums and others offer so-called DIY (do-it-yourself) experiences to help visitors understand how vinegar is produced from different raw materials. All museums highlight the health aspects of vinegar. Chinese museums stress the therapeutic benefits of vinegar under both traditional Chinese medicine and from a more modern, scientific perspective (amino acids, etc.). 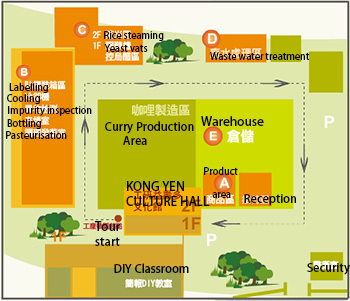 The Taiwanese museums, both attached to factories, emphasise the technical aspects of hygiene, high quality, and purity of the product. Finally, there is the taste of vinegar. Most museums allow visitors to sample vinegar. 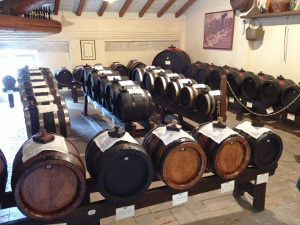 The Museum of Traditional Balsamic Vinegar in Spilamberto requires advance bookings for tasting and emphasises the gourmet value of fine balsamic vinegar. The Chinese, as might be expected of a nation of devoted foodies, describe the taste of vinegar with a range of subtle adjectives that can be difficult to translate sensibly into English. The Hungarian museum appeals to the reputation of Tokaji (Tokay) wine as the base for its vinegars. 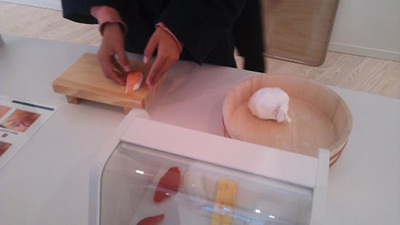 The Mizkan museum allows visitors to sample sushi (and even act as mock-sushi chefs) as well as Japanese-style hotpot. While museums generally concentrate on the style of vinegar that is native to that region or country -- wine vinegar in Europe, grain-based black vinegar in China, rice vinegar in Japan -- several attempt to assemble a range of vinegars from other places. 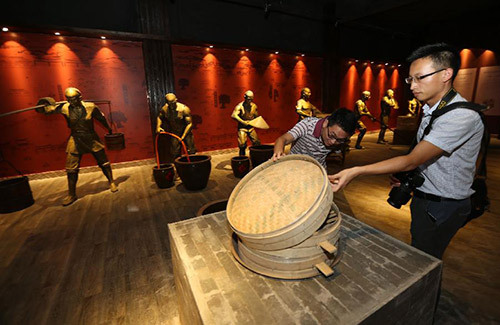 The Zhenjiang Vinegar Culture Museum features vinegars from Shanxi, Shandong and other parts of China, as well as ten overseas countries including the U.S., Japan, and Germany. 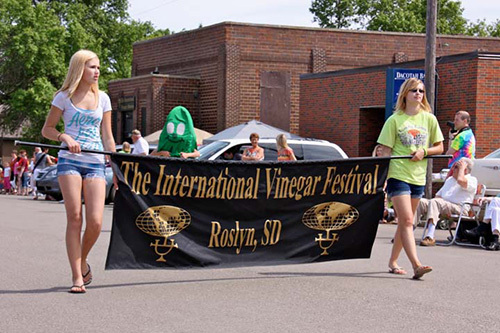 But these efforts pale into insignificance beside the International Vinegar Museum in South Dakota, which has vinegars from around the world, thanks to its founder's inveterate efforts to research the deeper historical, cultural, and social aspects of vinegar. 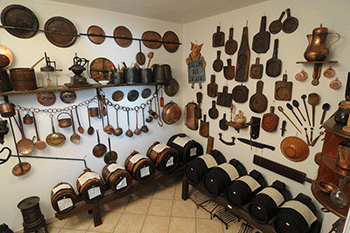 Large or small, east or west, vinegar museums are based on a love of fermented vinegar in its many forms. When will you start your pilgrimage?